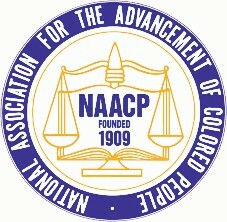 The Savannah Branch NAACP will hold its first 2016 Mass Meeting at St. John Baptist Church, 522-528 Hartridge Street, Pastor George P. Lee, on Sunday January 24, 4PM. This first meeting will feature a presentation by guest speakers from the Chatham County Juvenile Court – Presiding Judge Leroy Burke III, Judge Lisa Goldwire Colbert, and Judge Thomas L. Cole – concerning youth detention. The Juvenile Justice Reform Act was signed by Governor Nathan Deal and went into effect on January 1, 2014. This act made significant changes in the policies and practices of the Juvenile Justice system in Georgia. In an effort to embrace the changes in the new law, the Juvenile Court has engaged in an extensive process to perform a self-evalu- ation of their current policies and practices, and how they affect the lives of children and families in Chatham County. The Court is also partnering with the Annie E. Casey Foundation in Baltimore, Maryland to assist in its reform efforts. The Judges of the Chatham County Juvenile Court will review Juvenile Justice Reform as well as other efforts being made at the court, including stronger partnerships with the community in addressing the issues affecting Chatham County’s families.